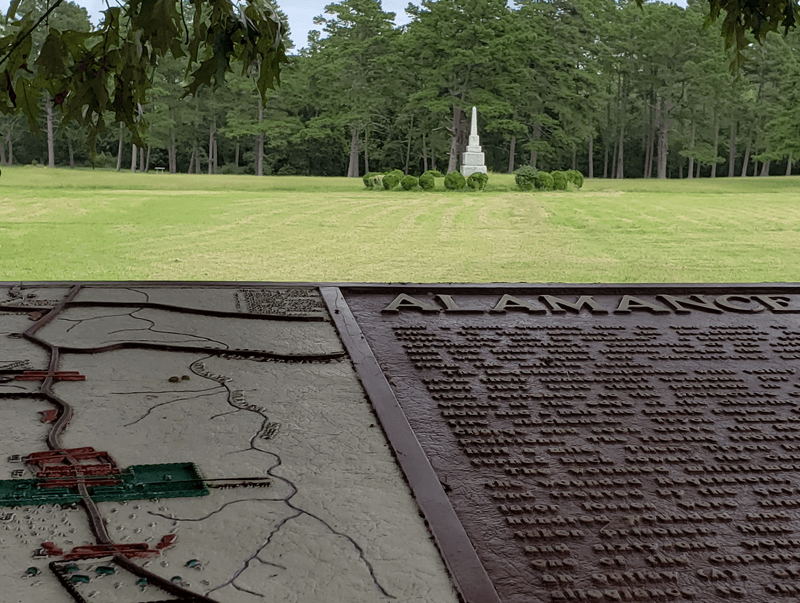 Here’s the story leading up to and about the battle that occurred on the Alamance Battleground. The Alamance Battleground is a gem left from the Colonial Period and Revolutionary War that lies in the heart of the Town of Alamance. It is one of 27 properties preserved by the North Carolina Historic Sites and managed by the North Carolina of Natural and Culture Resources, enabling visitors to explore the states rich heritage, diverse people and places from early Native American settlements to the Old North State’s role during World War II. In 1771, an armed rebellion of backcountry farmers — known as Regulators— battled with royal governor William Tryon’s militia. The spark for this revolt was growing resentment by many North Carolinians not upset with the government, or colony laws, but with the abuses of government officials. They were distraught with taxes, dishonest sheriffs and illegal fees imposed by the British Crown affecting their daily lives. Scarcity of money contributed to the state of unrest. Those living in the western part of the province were isolated and unsympathetic with the easterners and it was in those frontier counties that caused the War of the Regulation to begin. In response, William S. Powell formed the Regulators and began to retaliate. Unfortunately, the Regulators never had an outstanding leader, though several men were prominent in the movement, including James Hunter, Rednap Howell, William Butler and Herman Husband. Husband — a Quaker and follower of Benjamin Franklin — circulated political pamphlets advocating peaceful reform. Failing to secure justice through peaceful negotiations, the reformers became more radical. Violence, lawlessness and terrorism reigned. When the government retaliated against them, the Regulators defiantly refused to pay fees, terrorized those who administered the law and disrupted court proceedings. It fell to royal governor William Tryon to bring the backcountry revolt to a speedy conclusion. In March 1771, the governor’s council advised Tryon to call out the militia and march against the rebel farmers. Volunteers for the militia were mustered. When the expedition finally got under way, General Hugh Waddell was ordered to approach Hillsborough by way of Salisbury, with Cape Fear and western militia at his command. Tryon and his army proceeded more directly toward Hillsborough. Waddell, with only 284 men, was challenged on his way by a large group of Regulators. Since he was outnumbered, the general decided to turn back. On May 11, Governor Tryon and his forces left Hillsborough, intending to rescue Waddell. After resting on the banks of Alamance Creek in the heart of Regulator country, Tryon gathered his army of approximately 1,000 men. Five miles away, 2,000 Regulators had assembled. 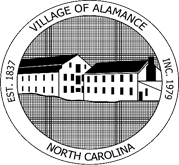 The Battle of Alamance began on May 16 after the Regulators rejected Tryon’s suggestion they disperse peacefully. Lacking leadership, organization adequate arms and ammunition, the Regulators were no match for Tryon’s militia. Many Regulators fled, leaving their bolder comrades to fight on. The rebellion of the Regulators was crushed. Nine members of the king’s militia were killed and 61 wounded. The Regulator losses were much greater, though exact numbers are unknown. Tryon took 15 prisoners and seven were hung later. Many Regulators moved to other frontiers beyond North Carolina. Those who stayed were offered pardons by the governor in exchange for pledging an oath of allegiance to the royal government. The War of the Regulation illustrates how dissatisfied a large part of the population was during the days before the American Revolution. The boldness displayed by reformers opposed to royal authority provided a lesson in the use of armed resistance, which patriots employed a few short years later in the American War for Independence. Today, visitors can tour the Alamance Battleground, the 18th-century Allen House and the battlefield monuments. Check out the website for details.